Oak is the first choice for many things. It's excellent wood for fire pits, barbecue and indoor fireplaces. One of the best fire wood. When seasoned well, it gives off a good, lasting heat. Oak burns reasonably slowly. The wood burns hot, so it works really well for heating and for cooking. 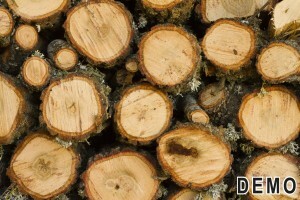 Oaks of every species and sizes are available at “Firewood Services”. Oak wood is chosen by thousands of grillers for its unique smoky flavor that is subtle enough to give the right scent and taste without ruining your meat. Old fashion values, combined with a strict dedication to customer service and top quality product drive every part of our business. We season, split, clean and hand select our firewood with our customers in mind. Try using Red Oak firewood for your indoor and outdoor BBQ events. We have premium quality red oak firewood just for your outdoor grilling. Our firewood is ideal for your Fire Pit and home heating needs. We offer quality wood firewood stacks for at an affordable rate. We maintain an inventory of good wood for Residential and Commercial clients, year round. Burning wood or cords of wood is an inexpensive way to keep warm and we have a large inventory to choose from. We happily deliver wood to your home, shop or business location. Many of the local restaurant owners who use our firewood also look to us for aged wood pieces, which add a savory flavor to meats, grilled vegetables, fish, etc.